Many manufacturers have a long and successful history and are still producing thousands upon thousands of vehicles to this day. However, what about those that are no longer in existence and are fading away from our memories as each day goes by? Here we list 10 manufacturers that are no longer producing cars. A civilian version of the military Humvee, the Hummer was a short-lived favourite with celebrities which fell afoul of a general demise in popularity of SUVs – its impractical size, poor fuel economy and lack of safety features left it without a viable place in an industry hit by recession. An ultra-luxury brand owned by Daimler AG, the Maybach will be phased out by 2013 due to poor sales. Despite an illustrious history including manufacturing vehicles and components used in both world wars, Maybach has been unable to compete with high end rivals Rolls Royce and Bentley. Born of a Swedish aerospace and defence company, Saab was a force to be reckoned with in its 80s heyday, with the iconic 900 model still retaining a cult following, but later years saw the company suffer from GM’s fading fortunes and bankruptcy. While Saab as we know it no longer exists, negotiations are in place with a Chinese-Japanese consortium to determine its future. Most famous for its appearance as a time machine in the Back to the Future films, the De Lorean still has an active enthusiast’s community. The distinctive, stainless-steel bodied sports car with its gull-wing doors never achieved the sales needed to become a commercial success. This highly specialised British sports car manufacturer has not produced any new cars since 2006. Despite various changes of ownership, the brand maintained its core business of elegant but powerful lightweight coupés and convertibles until more turbulent recent years. Finally it was announced that high costs and customer demands rendered production unprofitable. While legally the Rover marquee is the property of Land Rover under the terms of Ford’s purchase of the name in 2006, no vehicles are currently in production. 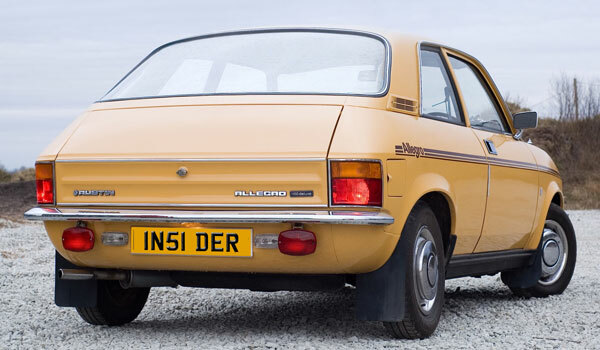 Rover was once one of Britain’s most well-known brands, with an image as an upmarket alternative to Ford and Vauxhall. Multiple changes of ownership finally brought the brand to its knees. Starting with bicycles and progressing to motorcycles and then cars, the Triumph name has officially been defunct since 1984 but is currently owned by BMW and rumours regularly spread of its revival. The brand produced a range of quality family saloons and sports cars in its heyday in the post WWII years, while today it is considered an affordable classic. A subsidiary of Nissan, the Datsun brand was eliminated in 1986, however is due to be revived for use in India, Indonesia and Russia. As a low-cost complement to Nissan, Datsun gained a reputation for value and reliability but the name was discarded in an attempt to strengthen the Nissan brand. British marquee Austin was in use from 1905 – 1987. Ownership wrangles have led to a turbulent history but its 7, Metro, Maestro and Montego models are fondly remembered today. 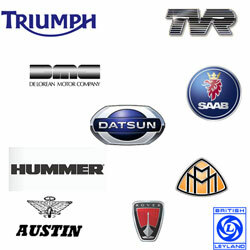 British Leyland incorporated large parts of the British owned motor industry, at one point holding a 40% market share. The parent of marques such as Jaguar, Land Rover, Rover, Triumph, Austin and Morris to name but a few, the company became unwieldy and incoherent. Its demise in 2005 saw the end of mass car production in Britain. Thank you to Louis Rix, marketing director and automotive enthusiast at Netcars.com for producing the fun article. Louis also writes for a broad range of motoring and financial based sites such as Carfinance247.co.uk, the UK’s leading online car loan broker. When it is no longer just about price….